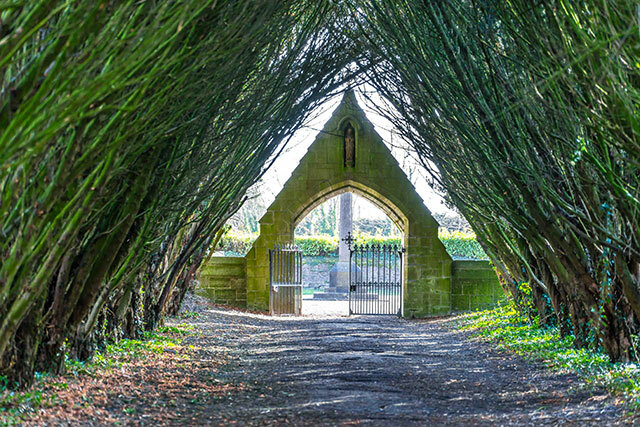 What compelled young priests in training to commit suicide in this room of Ireland’s national seminary? The window to the Ghost Room has been covered with an altar to St. Joseph. Photo courtesy of Padraig Lawlor. In Ireland, imposing castle walls and ivy-covered manors loom like gray ghosts in the warm glow of the modern world. It is a culture where folklore from the country’s ancient pagan roots is interwoven with centuries of Roman Catholic superstition to create a unique culture in which fairies may swap your wife or child for a changeling—an evil look-alike—and it is common knowledge that the devil lurks in Loftus Hall. 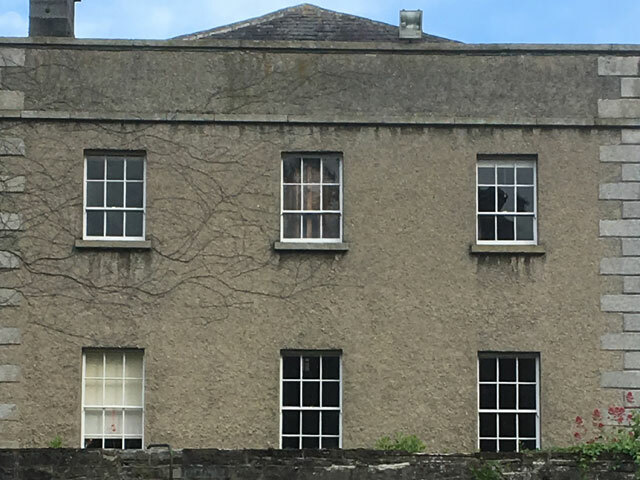 Even within the hallowed walls of St. Patrick’s College, Ireland’s national seminary in Maynooth where priests have been trained for over 200 years, a malicious spirit seems to have taken up residence. The History Department, where Padraig spent a considerable amount of time, is headquartered in a building known as Rhetoric House. Today, the university and the seminary share a campus, but when Rhetoric House was built in 1834, it served as a residence for priests in training. 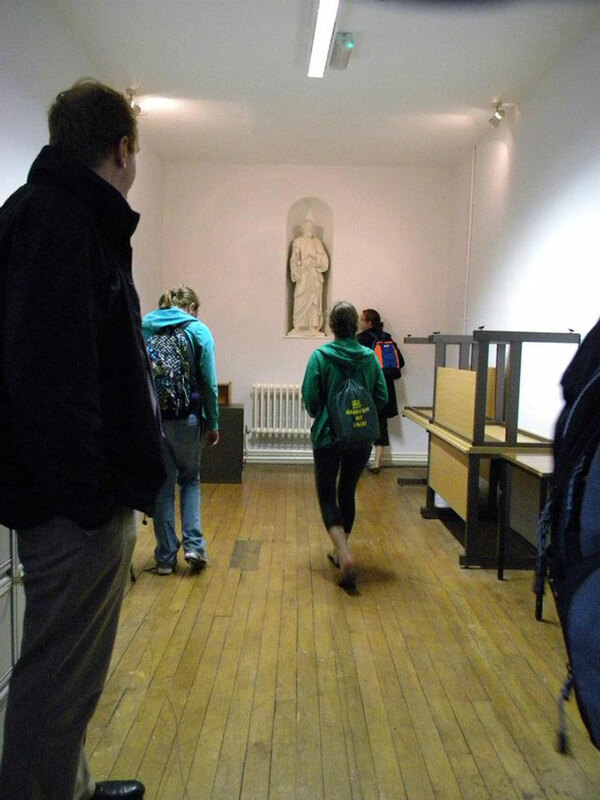 The Ghost Room, officially designated Room 2, is located on the same floor as the history professors’ offices. It is a predominantly empty room with a small altar covering the only window. A statue of St. Joseph, the Patron Saint of Peaceful Death, occupies the altar. “You can still see what appears to be bloodstains on the wooden floor,” Padraig told me. The first suicide happened in the early 1840s. The gruesome scene was discovered after the resident of Room 2 missed the day’s lectures. When his friends went looking for him, they found him in his room soaking in a pool of his own blood from a self-inflicted gash across his throat. Room 2 was vacant for the rest of the year. The following year the room was assigned to a new, unwitting young man who, shockingly, was found dead under the exact same circumstances…throat slashed and razor in hand. Sometime after that another resident of Room 2 was found lying on the ground outside Rhetoric House after he jumped from the third floor window. He was still alive, though barely. Before succumbing to his injuries, the student told college authorities that he had seen a demonic face in the mirror that morning. He then became compelled by a powerful urge to end his life, and grabbed his razor uncontrollably. Struggling against what he believed was a demonic force manipulating him to cut his own throat, he threw himself through the window to make it stop. After this incident a priest spent a night in the room hoping to determine what was causing young men to kill themselves. According to the legend, he was so horrified by whatever he experienced that when he emerged the following morning his hair had gone completely white. He was never able to speak about what he encountered that night. 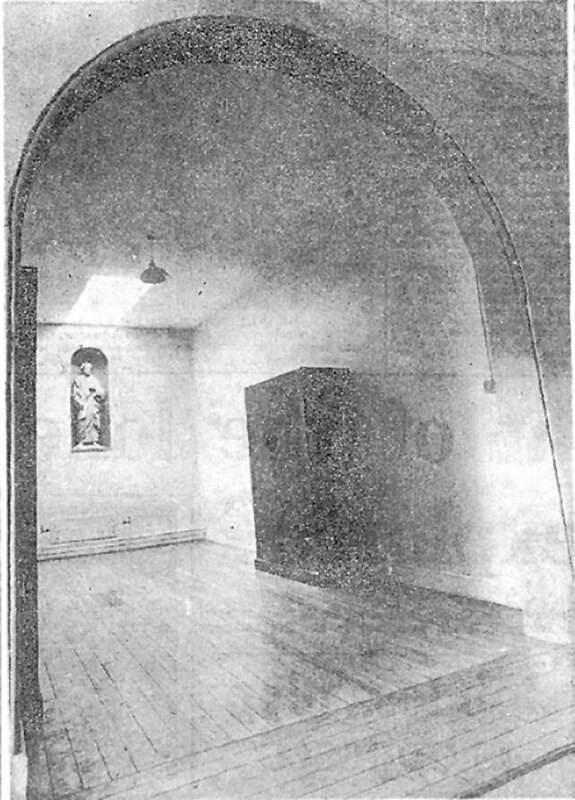 Room 2 was closed and eventually converted into the oratory it is today. It is also used as the History Department’s work room, so if you need to make copies or pick up your graded history exam, you’ll have to contend with whatever evil may still be lurking. But don’t bring any mirrors into the Ghost Room hoping to see the demonic presence because, according to rumor, that is strictly forbidden. When paranormal researcher Hans Holzer investigated the room with psychic Sybil Leek for Ghosts: True Encounters from the World Beyond, they felt fear and the desire to run, as well as a strong presence around the statue of St. Joseph. Sybil also received the impression of a four-legged creature.